The most direct route to resolving a concern is to confer directly with the person involved, (teacher, coach, etc). More than 95% of concerns are resolved by a conversation between those involved. The Principal and Assistant Principal(s) are responsible for the school’s operation. Explanations of policies and procedures, various clarifications and all types of campus information are available in the campus administration office. All concerns must be addressed with the campus principal before contacting Student Services. 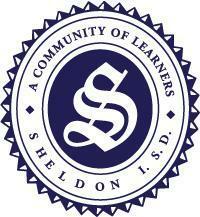 The Director of Student Services may be reached at 281-727-2013. This step should be taken only if steps one and two above have been completed. At this step you may enter the formal complaint process. If you have gone through the previous informal steps of problem-solving and have not met a satisfactory conclusion, you may then move into the formal process by following Board Policy. Additional information: Board Policy FNG (LOCAL) – The Board encourages students and parents to discuss their concerns and complaints through informal conferences with the appropriate teacher, principal, or other campus administrators. Concerns should be expressed as soon as possible to allow early resolution at the lowest administrative level. Board Policy DGBA (LOCAL) – The Board Encourages employees to discuss their concerns and complaints through informal conferences with their supervisor, principal or other appropriate administrators. Concerns should be expressed as soon as possible to allow early resolution at the lowest possible administrative level.